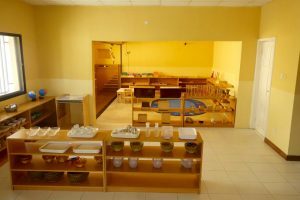 Our previous post discussed Maria Montessori and why you should probably pick a montessori nursery. 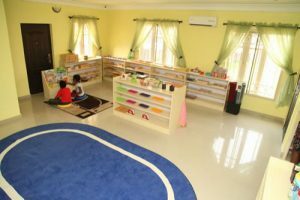 Donning our cape we are here again to help, we know finding a nursery with the right montessori materials is no easy endeavour so we bring you our carefully put together list. 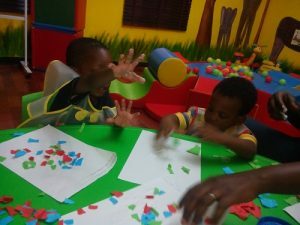 Searching for a nursery in Lekki, Ajah, Victoria Island, Victoria Garden City or any other other surrounding environ? You are in luck because this list is just for you! 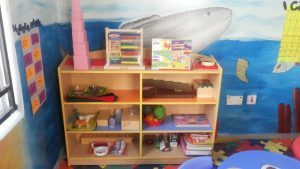 With the low shelves the child can easily reach for whichever material they want and play with them, when they lose interest they can also pick another just as easily. 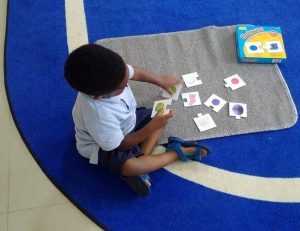 These materials are self-corrective if a child is using and a piece is left over or does not fit, the child easily notices and corrects himself. For instance the pink tower which is made up of blocks of different sizes, these blocks teaches a child about size and while constructing a tower if the child uses the wrong size it does not stand the child perceives his error and without the help of an adult corrects himself. 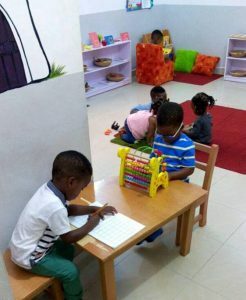 With a name like that and pictures to speak there’s really not much left to say, your child learns in a co-operative environment with only the best montessori materials to be utilized. 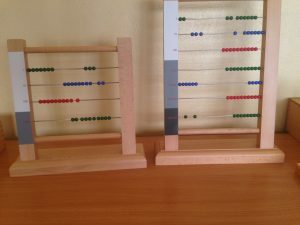 Learning Ladder Montessori pupils, aren’t they adorable? 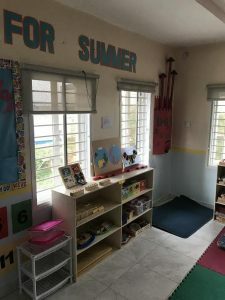 Winfield Montessori School seeks to develop tomorrow’s leaders by letting them develop them wholly, utilizing montessori materials has never been done better. 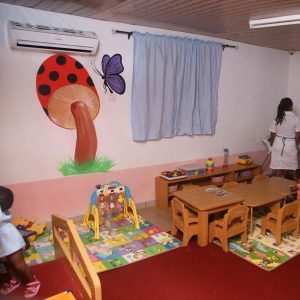 Previously featured in this post, as one of the top creches in Ajah. 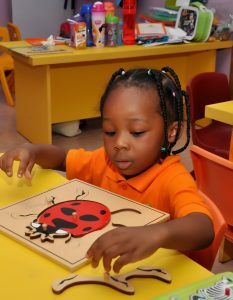 Treasure Chest Montessori offers a wonderful learning and socialising environment for your child. 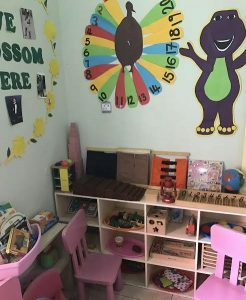 Arcadia Montessori Nursery, Creche And Playgroup located in Victoria Island provides a “living room” for children with montessori materials with which your child learns to order, classify and describe impressions in relation, length, width, temperature, mass and colour. 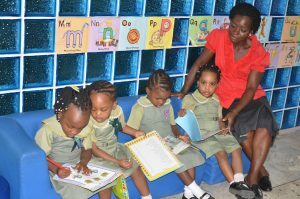 Quality intellectual growth is enhanced thanks to material and staff support provided. 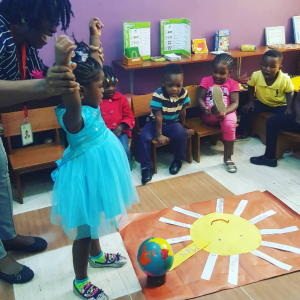 Busyminds school caters for children aged 3 months to 11 years by working with each child individually using montessori equipments and a British Curriculum in a Nigerian Setting. 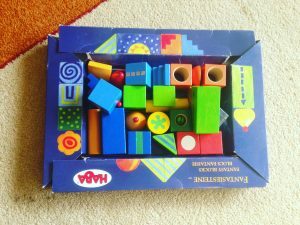 Using the most innovative and fun methods Cribs and Crayons imparts knowledge into pupils. School has never been so intellectual and fun. 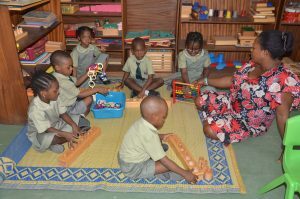 Minders’ Day Nursery immerses your child in an environment with montessori materials he needs for his comprehensive development. 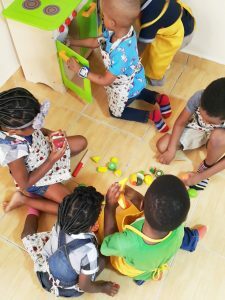 At Catherine Anthony Creche And Pre-school your child’s learning is enriched through his inquisitiveness and the staff’s unrelenting focus on the pupils. 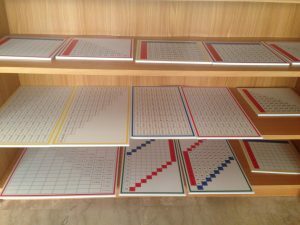 Classrooms are well equipped with needed montessori tools your child needs to flourish. 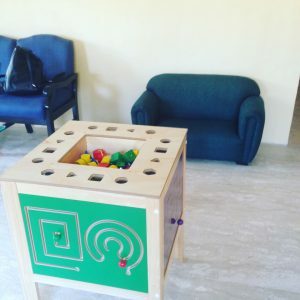 Whistles Children’s Place is strongly committed to providing children with early years curriculum along with Montessori philosophy to enhance learning. 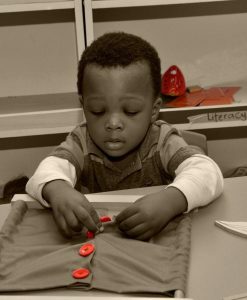 Continuously catering for children between ages 3 months and 5 years with the right materials and support they need. 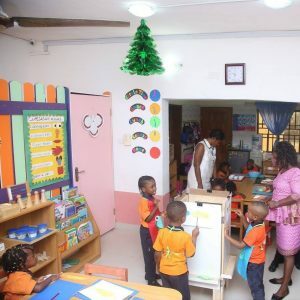 Tenderville School‘s passionate and professional team use a unique teaching methodology that nurtures individual potential in a structured learning environment with scheduled time for every aspect of the child’s development. 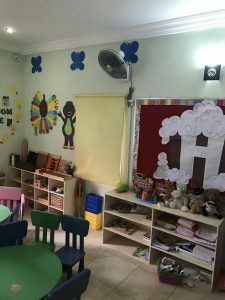 White Light Montessori School is a fully licensed childcare and learning facility in Victoria island, providing a warm and nurturing environment for children. 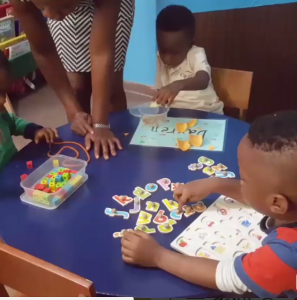 With programs that have been designed to serve the needs of parents with quality, affordable and flexible childcare services.The center offers a diverse choice of creche, Montessori preschool and after school programs. 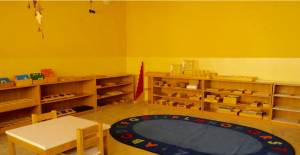 Take your time when picking a montessori school for your lovelies. 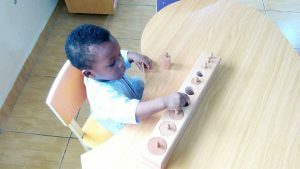 Montessori education lasts 1-11 years on the average and these are formative years that builds and prepares them for future education. 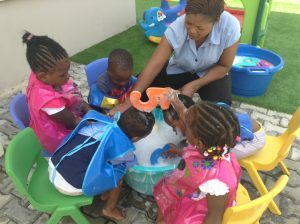 Our next series we will be picking another area of Lagos, if you cant wait simply visit our website and find a school.